Take a much deserved summer vacation without paying an arm and a leg. A cheap summer getaway is within your reach. Tourists flock to NYC during the warmer months for vacation, but if you’re a local—like us—you might be in-need of some cheap summer getaways. Luckily, living in NYC allows us to travel across the globe fairly easy. But what if you’re on a budget and have already worked your way through the best things to do in summer here in the city? Well, now’s the time to pack your bags and get a change of scenery. 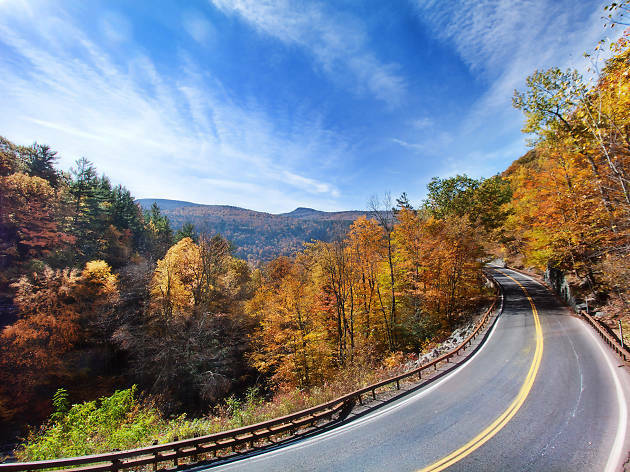 Whether want you to stay close and at one of the best hotels on the beach near NYC or rent a car and explore the east coast during one of our recommended road trips from NYC, there’s always a new place to explore without breaking the bank. 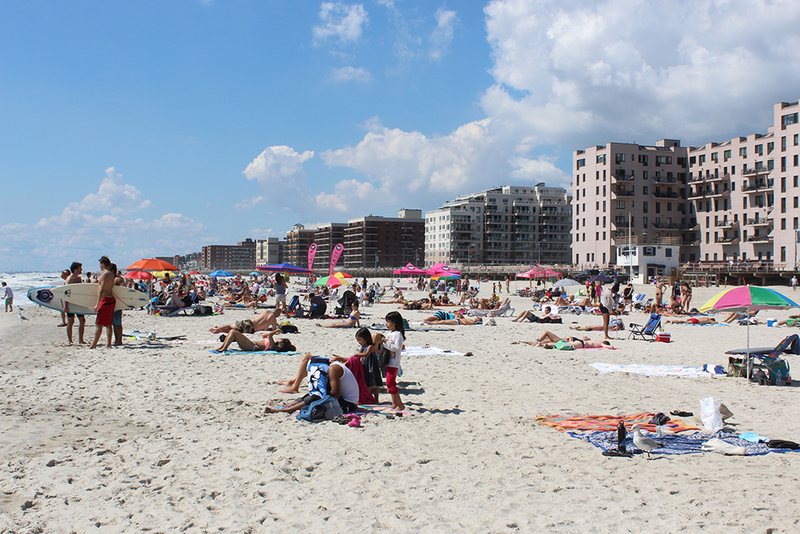 We’re so lucky to live in a city, which is so close to some of the best beaches. 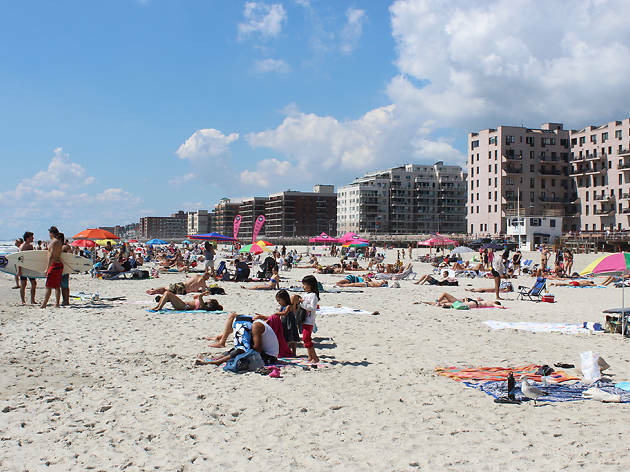 Rockaway Beach has free beach access, is littered with tasty food trucks and a variety of budget-friendly activities all summer long. Just a quick ride on the A and you will be at the beach in no time. There are so many fun (and free!) 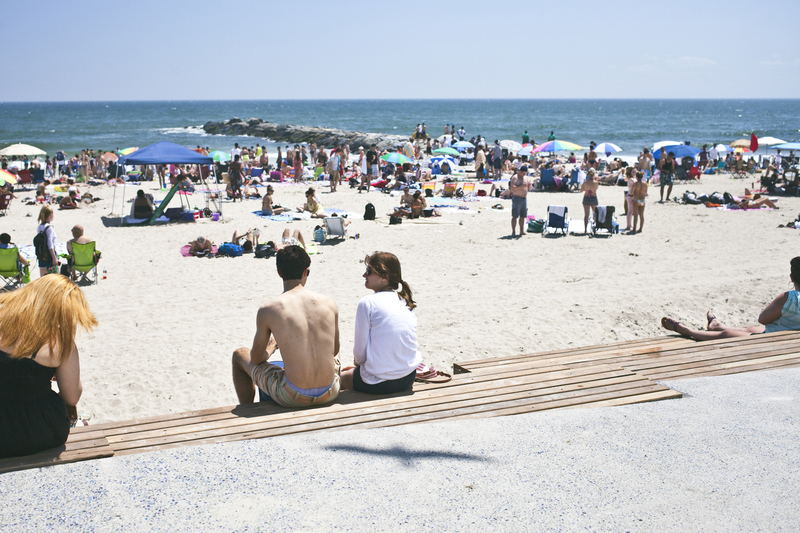 things to do on the Rockaway Boardwalk this summer. Try yoga on the beach, watch family friendly movies under the stars, or work up a sweat with gratis zumba classes. When you’re spending the day (or several) at the beach, you’ll want to grab food on the go so you can get that prime beach spot. Tacoway Beach is a summer only eatery you must hit. Tucked in the Rockaway Beach Surf Club, Tacoway’s tacos are just $3.50 (add guac for just a buck!). Want to get a little further out of the city? Take an hour train ride to this 5-mile stretch of beach with your squad, which is known for it’s great local music and arts scene. After a few days in Long Beach, you won’t want to leave. Hit up the the Arts in the Plaza in the Kennedy Plaza! Taking place every Saturday from Memorial Day through Halloween, this festival showcases local handcrafted art and live music. There is something for everyone! Fill up on some amazing Midwestern style BBQ right off the beach! Swingbelly’s serves the Long Beach surfer crowd dishes of delicious ribs, platters of smoked chicken and BBQ chicken sandwiches. 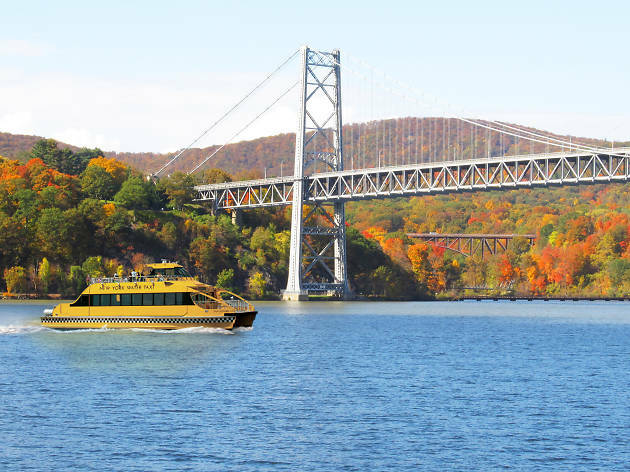 If the beach isn’t your bag and you’re looking for a little history, take an hour-and-half car ride up to the Hudson Valley. Along with having one of the oldest military posts in America, the Hudson Valley has amazing trails. Take in the sites by hiking in the Valley and taking that perfect pic for your active Instagram. If you are just doing a quick day-trip from the city, spend your time in Falls Views Park. Home to four acres of waterfalls, rivers and walking trail, this is a great spot to go with your friends or just yourself! If you’re super outdoorsy. make sure to pack a picnic and try your hand at fishing. Famished after your hike and in-need of a lite bite? Head to the small French bakery bistro of Cafe Le Perche. All the good contains farm to table ingredients, and the small cafe has a rustic setting and a great outdoor patio so you can enjoy your meal outside. 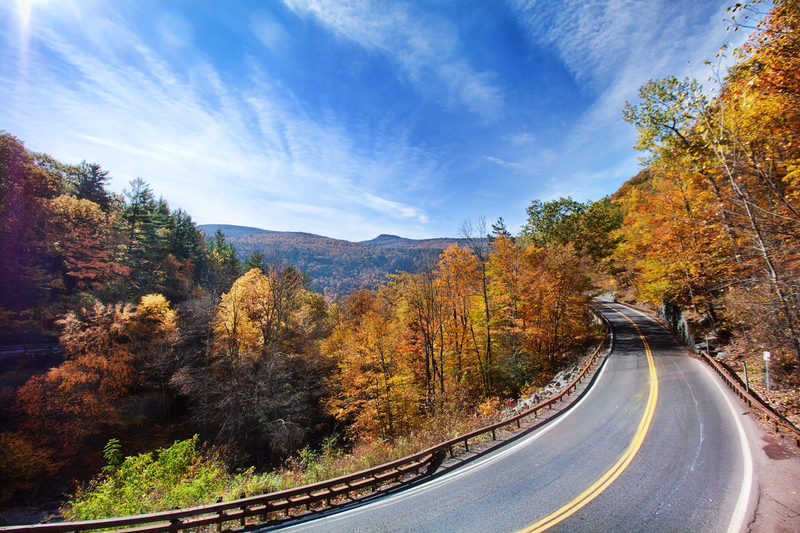 Detox from the hustle and bustle of NYC and take a quick trip to the Catskills. This hoppin ‘80s retreat is well within your summer getaway budget. Travel alone will only cost you around $30, and this destination offers a ton of cheap hotels and budget-friendly restaurants. Is summer’s sweltering humidity killing you? Skip the crowded Catskills swimming holes and try your hand at tubing! Relax in the water while lounging in an old-fashioned rubber tube—provided by The Town Tinker—while cooling off in The Esopus Creek. Full-day prices (with gear included!) will run you about $40. If you’re chilling at this retro haven, a visit to the Phoenicia Diner is an absolute must. Old-school meets new-school, this diner serves traditional favorites such as biscuits & gravy and meatloaf as well as modern twist dishes such as smoked trout on a bagel and a fried chicken and waffle sandwich. Ordering seconds is encouraged. 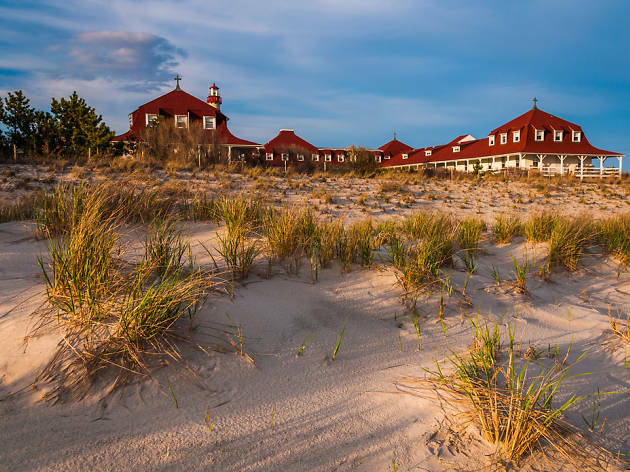 If you are looking to be young, wild and free, Fire Island is the obvious option. While a solo trip might be a little pricey, getting a group together for a summer full of laughter and sand is much more do-able. So get into F-O-R-M-A-T-I-O-N.
Biking in the city can either be a welcomed experience or a near-death scenario, so take a relaxing bike ride, without the fear of a cab hitting you, through the 17 nabes of Fire Island. You can BYOB (bring your own bike) or rent one at the Ocean Beach Hardware store. 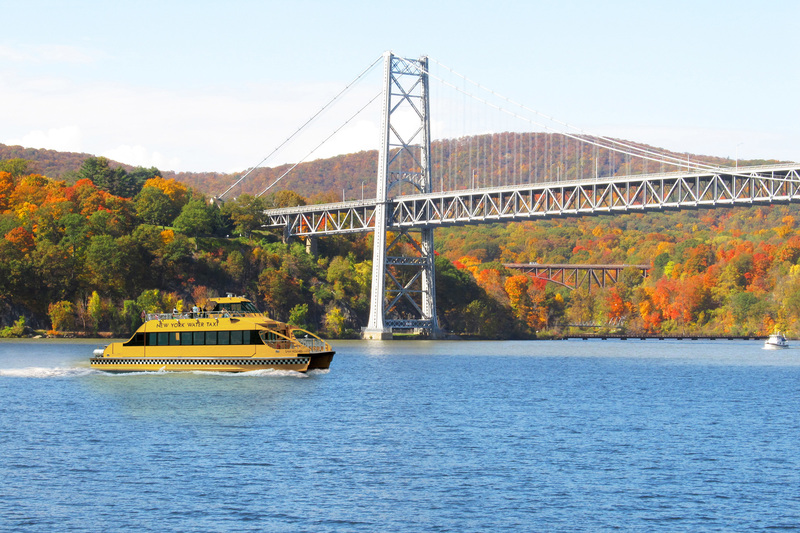 The store is located right next to the ferry, so you can’t miss it! Another seasonal restaurant, Surf’s Out, is right on the beach and has great ocean views. The restaurant opens every May with a massive Pig Roast! The menu also offers a wide-range of tasty fare, from burgers and steaks to sushi. 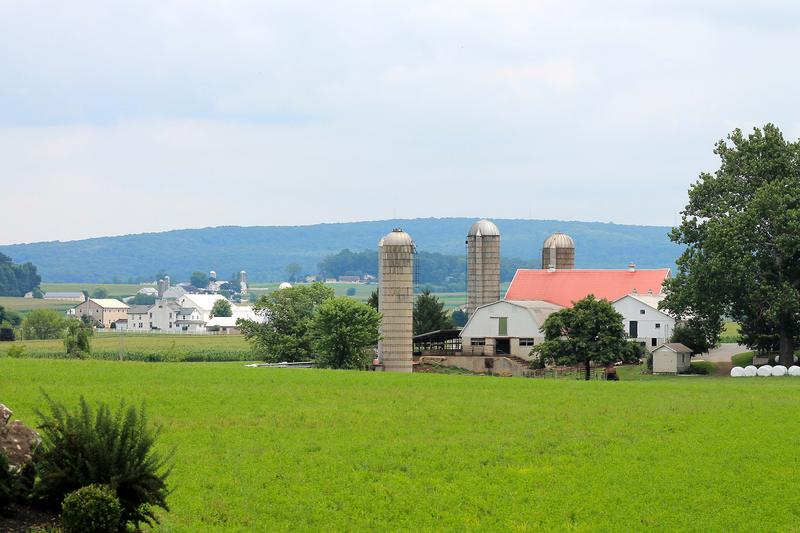 If getting to the grassroots is what you look for in a getaway, look no further than Lancaster County, PA. 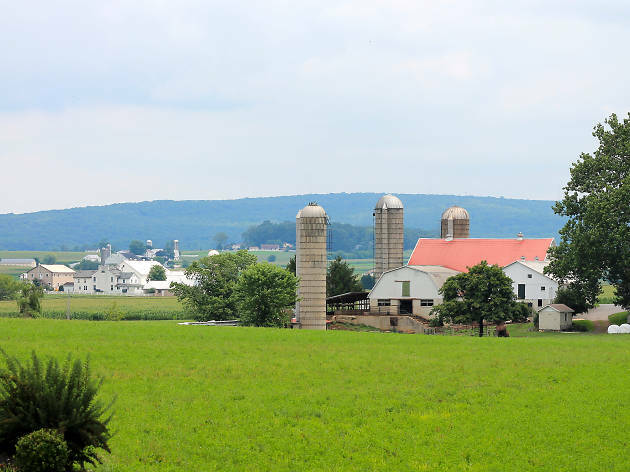 While a majority of the county consists of Amish residents, this country gem is great for a digital detox. Lancaster is chock-full of fresh produce and farmers markets. While driving around town, you will see multiple roadside stands hawking goods a plenty from the Amish town folks. Make sure to pick up some homemade treasures! As the birthplace of the whoopie pie (yes, this is a real thing), Lancaster is the place to fill up on traditional Pennsylvania Dutch cooking. If you are in the mood for lighter fare, take a seat at the Sugarplums & Tea. This café and bakery is great if you have a sweet tooth or just want a pot of tea for an afternoon pick-me-up. Ocean views are one thing, but mountain views are a whole other ball game. 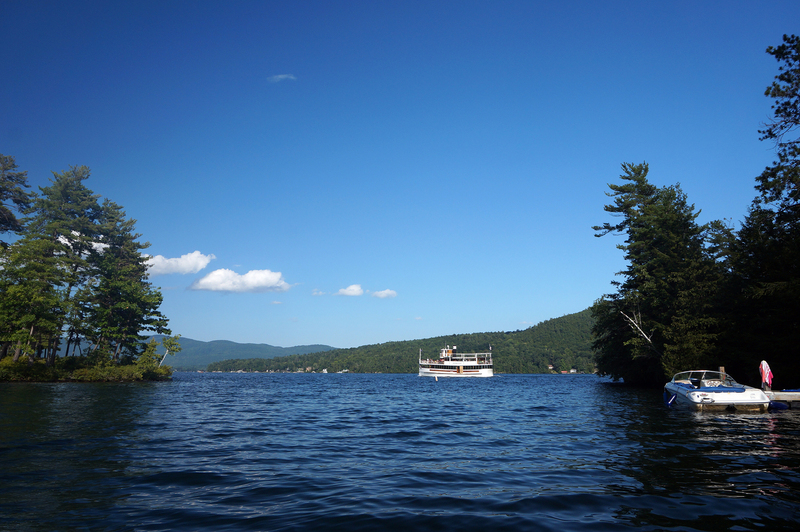 At Lake George, you get a full sweeping view of the Adirondacks. Make sure to pack some lawn chairs and a cooler, sit back and take it all in. The town itself is a major tourism hub with something for everyone—but all the action is in Shepard Park. The park has free entertainment every night in it’s amphitheater. Make sure to get there early to get a great view of the fireworks! 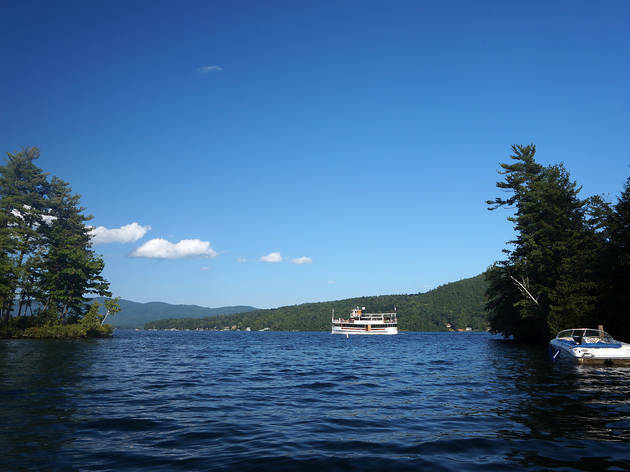 In the heart of Lake George, is a rustic cabin brewery and restaurant called the Adirondack Pub. With the Adirondacks Brewery right next door, and a menu with delectable bites for dinner, summer nights can’t get any better. Another island getaway! 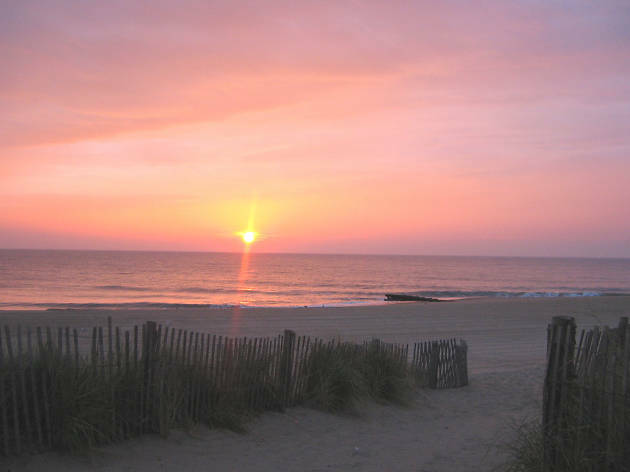 Ocean City, MD is a great place to travel with family or a weekend away with friends. There are many tourist hot spots in this oceanside town, but you can never go wrong with fun in the sun. There are hundreds of free things to do in Ocean City. 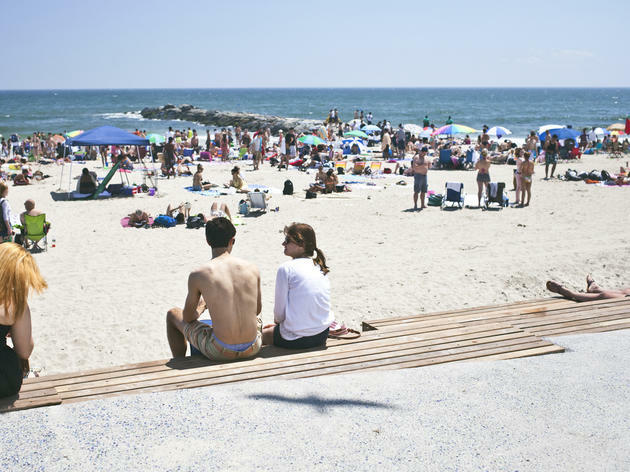 You can walk the boardwalk, attend the OC Beach Dance Party (every Tuesday during summer), nightly firework shows, biking, rollerblading and self guided museum tours. 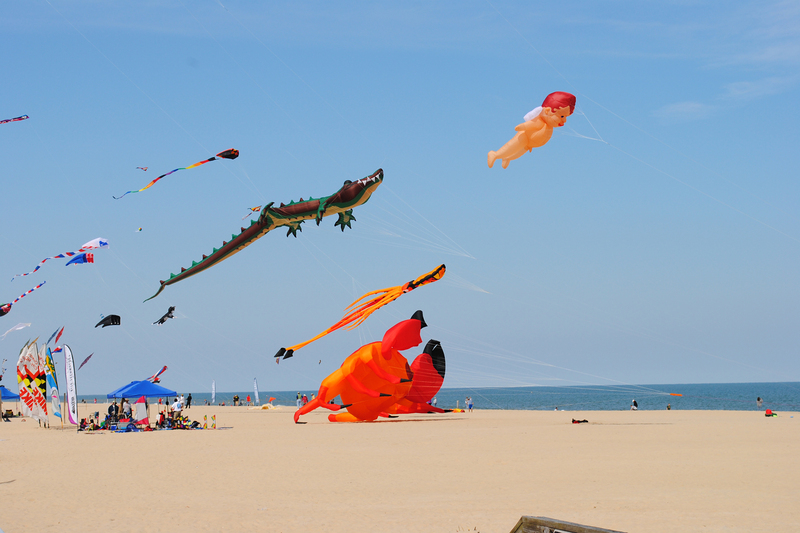 Rest assured, you will never be bored in Ocean City. Summer isn’t summer unless you’ve spent a couple hours drinking frozen margs in the sun. Stop by Mother’s Cantina for Tex-Mex eats and one of the best happy hours in town. 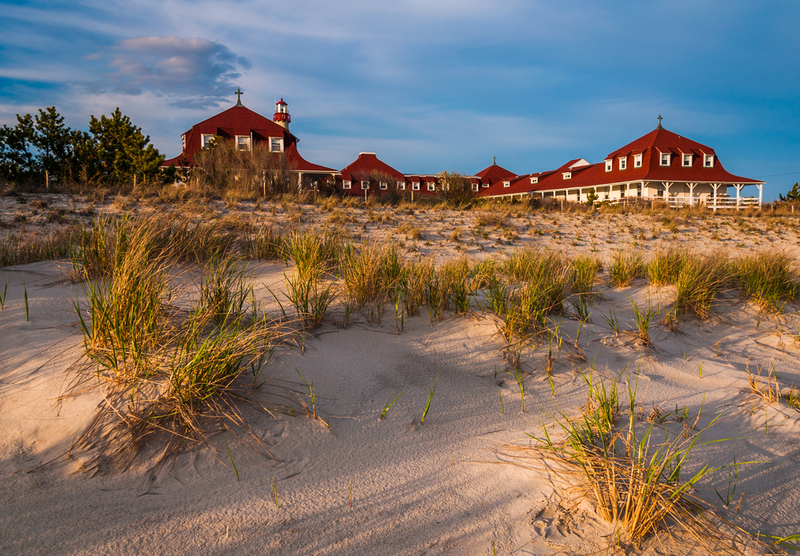 This seaside town’s claim to fame is being one of “the nation’s oldest seashore resorts”. 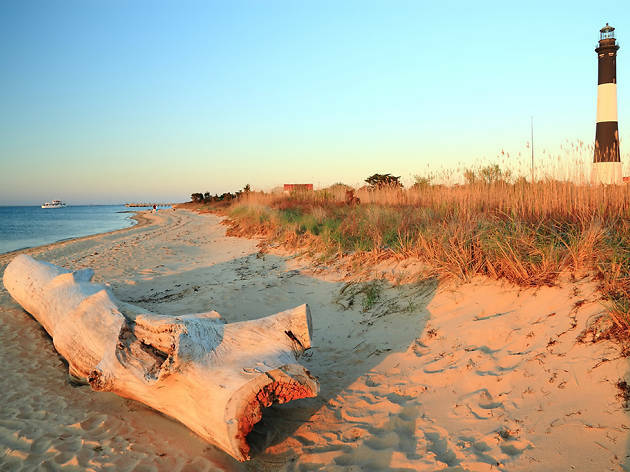 Cape May has charm, sophistication and pristine beaches—what more could you ask for in a summer getaway? Yes, NYC has the Bronx Zoo and Central Park Zoo, but you still have to shell out some green to visit the zoo’s residents. In Cape May, you can take a walk on the wildside for free at the Cape May Zoo. Lion, Tigers and Bears, OH MY! Nothing is more prominent in Cape May, NJ than the Hot Dog Tommy’s stand. Indulge in classic dogs, sloppy joes, lemonades and root beers after a full-day of exploring the town. 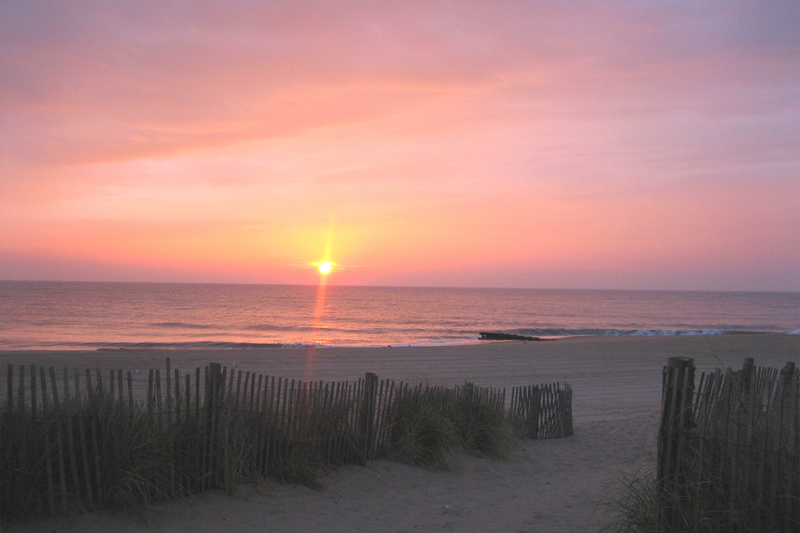 Attracting visitors from all over the eastern seaboard, Rehoboth Beach is our Jersey Shore alternative. Rehoboth has a flawless beach and is a great find for cultivated foodies. Rehoboth prides itself on it’s Victorian era roots. 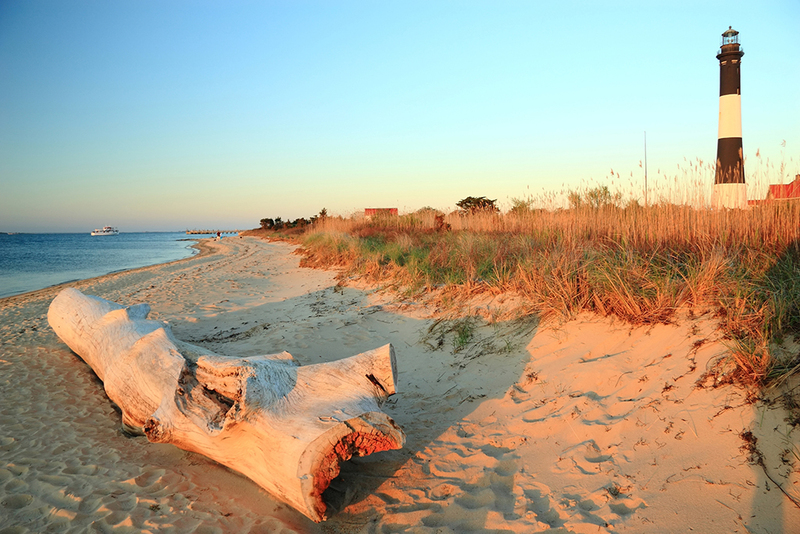 Learn all about this seafaring town at the Rehoboth Beach Museum. The museum has interesting exhibits such as life photography and vintage bathing suits. The museum is free to enter, but a donation is always suggested. Have a sweet tooth? Go for the original candy shop at Dolle’s Candyland. This family operated business opened in 1927 and has been satisfying sugar cravings ever since. Applicably named the “Willy Wonka of Rehoboth” this little shop turns out hundreds of pounds of all 24 of its flavors of taffy. 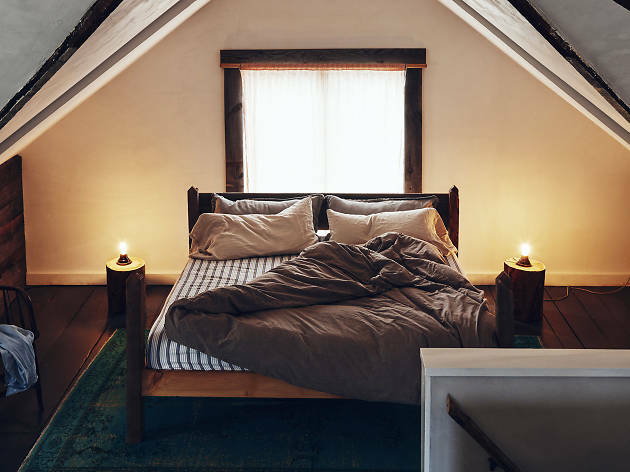 Looking for affordable romantic getaways near NYC? 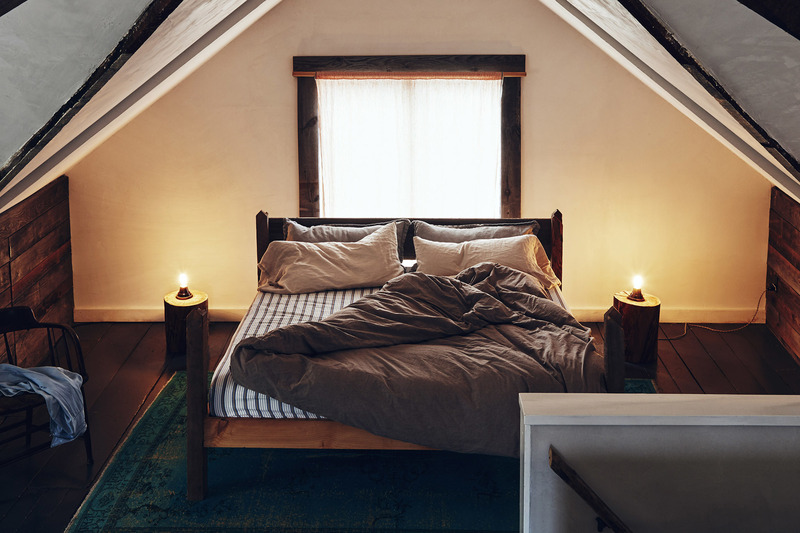 Need to find a cheap romantic getaway to take with bae in order spice up your relationship? We found the best ones.